Elegance and edge are embodied in the Mesh Yoke Short Sleeve Leotard. 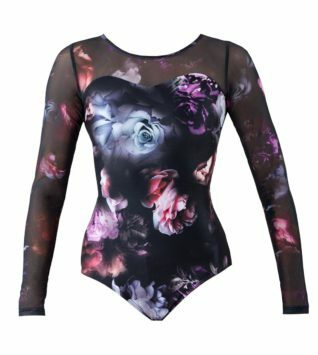 This fully lined leotard features a sweetheart illusion neckline, mesh cap sleeves and an open back of criss-cross straps. Mesh provides stylized ventilation after dancing long hours in the studio.